All About You: Is it good to feel pain? This week in our meeting we delved into a subject we definitely all have in common... pain! Who has never felt some sort of pain? But, the question is, is it good to feel pain? When the memory of our painful moments comes to mind, the answer is most definitely NO! And, that's how the majority of those who were present at our meeting answered this question. We resorted to learning from our physical body and looked at the reason why our bodies feel pain. Pain is a signal that our body sends us to warn us that something is wrong and needs to be fixed. So, whenever we feel pain, we immediately know that we need to do something to sort out that problem. There are people who are born with an incapacity to feel pain, and while that may sound like a dream scenario, the majority grow up to develop serious deformities and disabilities, some as serious as blindness. Many deal with emotional pain by shoving it under the rug. No one wants to remember their childhood traumas, hurtful words, betrayal, abandonment, etc. People tend to erect walls to protect themselves from such pain. But, refusing to deal with this pain will lead to emotional deformities and disabilities later on life. Unless they are dealt with, these painful situations will end up causing you emotional deformities and disabilities, and reducing the quality of your life. Now, the question is, how do you deal with emotional pain and heal from it? Join us this Friday when we'll be answering this question for you! I love to read this blog as it is always bringing something new to help us women. Many of us make the mistake of believing that the problems we face are the cause of anger, depression, anxiety or fear. But the truth is that outside events are only triggers. It is common for us to become practiced at denial of emotional pain, but we can only let go of pain the moment the underlying cause is healed. That is why we have to uncover the root of this pain and find a way to be healed. We need to take sometime alone, looking within and finding what is behind this pain. From this article I have learned that we feel pain for a reason, this is so we wont go that same road again. It's better to learn from mistakes than to repeat the same one over again. Pain was felt to learn. We all go through some kind of pain, and the artical mentions a physical pain is a sign that something is wrong. If we do not find a remedy for it, things might get worse, it's not something that one can ignore. Painful experiences, when taken positively, add to our lives in some way, we mature and use the experinces to bless others, therefore it is worth going though it, even though at that particular moment, you may feel like running away from it. The pain inside of my soul was necesser for me to find the Author of happiness, the pain in my soul was horrible, I had to fight with all my strength and FAITH, I could not surrender, but look for the solution of this pain, opening up, asking for help, forgiving and let it go, after all these I got the healing inside of me, today I am so happy inside of me, even though problems come but inside of me no pain, and because of any situation cause me pain, it means I have to do all that I did and always fight. Always saw pain as something bad and would avoid it anytime possible, but in reality as you wrote above pain it is a sign that something it is not right, it is the way that our body and soul shows us that we need to act and act quickly to avoid our physical, spiritual condition to get worse and who knows lead us to a critical condition. Each women's meeting that we a part of is a great revelation about our own selves! The message from last Sunday were amazing, when we look at things in a different way, we can have different results. To see the pain as a good thing is to get a benefit of any kind of situation... It make us stronger! I used to wish that I could never feel pain—physical, that is—because I think that I have a low pain threshold. I wouldn't be half as scared of doing some things that I know are necessary for me, e.g. getting a blood test, if I didn't feel pain. However, I believe that it is important to feel emotional pain. This stops you from allowing yourself to get into certain situations that hurt you in the first place; you avoid problems and think before doing anything for fear of feeling pain. But on the flip side, that can also be bad if you are too cautious. You may not move forward in your love life because you're scared of getting hurt. But overall, I think that feeling pain helps you. This blog's message is very interesting because when we are on our limit (extreme) of pain then the Revolt comes and we do not accept to live in a same situation, so the benefits come in our life. With this attitude we learn how to give more value of every experience lived in life. God is so perfect that even something that may seem wrong, like pain, has a purpose. Just as the phisycal pain is a protection to our body, the pain of the soul is a protection to our spirit. When we feel the pain, we realize there is something wrong and we do something about it. This is very strong. Boa tarde, eu já senti muita dor emocional, dor difícil de suportar, a dor de uma traição que veio junto com medos, complexos de inferioridade, e eu não sabia como lidar com isso, então escondia não procurava ajuda e a cada dia essa dor ia aumentando, foi através do Centro de Ajuda que eu recebi orientação para vencer esses traumas do passado e ser uma nova pessoa. Aprendi como lidar com a dor e a me proteger para não deixar que hajam danos que se reflictam de forma negativa na minha vida. 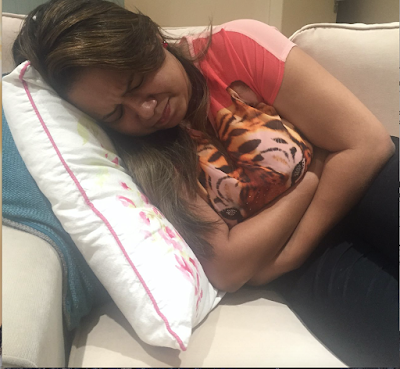 Não deixe de participar nestas Palestras para as mulheres pois com certeza a sua vida vai mudar assim como a minha vida mudou e a cada dia, através desses ensinamentos tem mudado também. Good afternoon , I felt a lot of emotional pain , pain difficult to bear the pain of betrayal that came along with fears, inferiority complexes , and I did not know how to handle it , then hid did not seek help and every day this pain was increasing , it was through the help center I received guidance to overcome these traumas of the past and be a new person. I learned how to deal with the pain and protect me not to let that have damages that reflect negatively in my life. Be sure to attend these lectures for women for surely your life will change as my life has changed and every day, through these teachings have changed as well . Thank you! I always thought pain is something bad I can't bear, but after this meeting was an eye opener, I never saw that way before, that pain is a warning! I need to get things fixed up! To change & be an expert and experienced after a hard moment we live in our lives! Great Article indeed! Wow! I never knew that condition existed. I can somehow appreciate that pain has its role to play and indicates that something is wrong. I have tried to ignore pain in the past but eventually I had to face it and it was a lot harder to deal with, any pain untreated will only get worse. These meetings are an opportunity to leave and remove the hurt/pain that hold us back to ensure we don't face the same pain in the future. I use to see pain as the bad guy but after this amazing meeting I could understand that pain is just to alert me that something is not okay so it makes me think and find out what is wrong so I can do something different and better about it. Thank you ladies for this lovely talk. I've had some emotional traumas to deal with from my past that really affected me, so I can relate to this article. I've also known what it is to brush things under the carpet thinking that it didn't matter when truly it did. Looking back I see that I was just trying to avoid the hurt and the pain and that didn't solve anything. Actually, avoiding it still affected me because it would manifest itself in my reactions and through my defensiveness. We try to avoid the pain of rejection and trauma because it's unbearable to deal with, but only when we face it and treat it can true healing come. It's like that antiseptic that stings so much but cleans the wound and promotes healing. 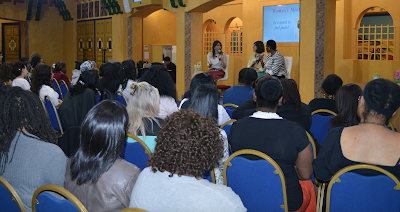 I thank God for seminars like these that helped me overcome emotional baggage. Can't wait for the next post! Another way to be disabled when in pain, is when one begins to fear, fear that this or that will hurt them. Then they begin to protect themselves, closing to new opportunities as they suffered in the past they do not want to suffer again. But this is not right, the right thing to do to protect yourself from pain, is to understand that despite the pain that hurt you, you do not need to fear, but be cautious about the choices you will take from now on. We feel pain for some choices we make? Yes, but we will be able to face them and go out strong from every situation. Such a lovely blog, I'm enjoying each time I comeback here. I'm very much aware of your blog.... sorely needed and a breath of fresh air! 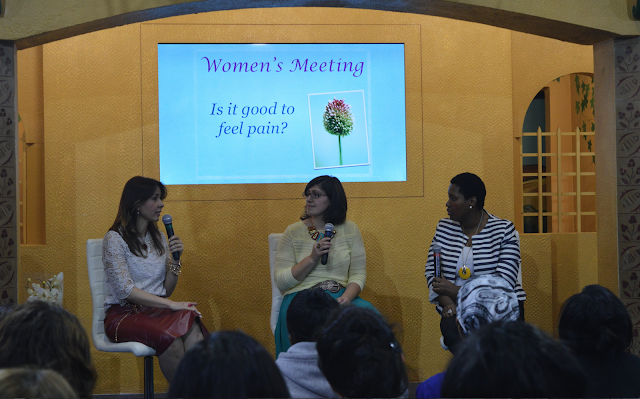 Would you please consider taping your meetings for women worldwide? And if possible, with subtitles. It's always beneficial to read, see and engage on pertinent issues, as well as the fun and lively ones, which matter to all women. I think this may bring a sense of togetherness across cultures and close the gap(s) which is(are) unfortunately already in place for many women. These meetings and posts are very helpful! Watching the video made me see that a life without pain that I often wished that we could have is not a good thing for us afterall.....not only physically but even more emotionally. Imagine every time I get hurt I keep going back into the same circle and making the same mistake because I ignore what's really hurting me; I can really relate to this. When I face what is really hurting me I am able to find out why I made a certain decision or ended up in a situation that was no good for me. I will clearly see the signs from afar next time and avoid making a bad decision that could lead to unnecessary pain. I have never imagine until I read this post that pain is good. It is a sign and warning that something is wrong; after reading this article I realise how important it is to feel pain as it spares us from worse problems. And emotional pain seems to be no different, having it exposed sets us free from any disability in the future. I am really glad to have read this article. Through this article I realize that if I continue avoiding facing pain, I constantly continue hurting myself, just like that little girl, she wont feel pain, but her body is showing the consequences of not feeling pain.... and that is what happening when I avoid facing the pain... there is consequences... I'm still learning to face it... as you said, it is better to feel the pain now then to feel pain for the rest of my life! It is easy? Not at all, but brings very good benifices to my life... One of them is to feel free.. in peace! Detect the problem and solve it, but if you ignore there is a probability the pain will increase and cause so much damage that will be hard to fixe it. This is a very good message and makes you think how important it is to feel pain (in a positive way). Nobody likes to feel pain but God made the body to feel physical pain as a warning to alert us that something is wrong i.e. illnesses etc. In the say way, when we feel emotional or psychological pain, it is a warning for us to act (or stop doing ‘that thing’ that is the cause of the pain). Naturally, most of us will try to ignore the pain or trauma that we experienced or are still experiencing by blocking it out and pretending that it don’t exist instead of facing it. But just watching that video of that little girl makes it clear that not being able to feel pain is very dangerous and can cause more harm than good. Hiding from our pain only causes more damage to our lives and doesn’t allow us to heal, learn, and become stronger to move on.